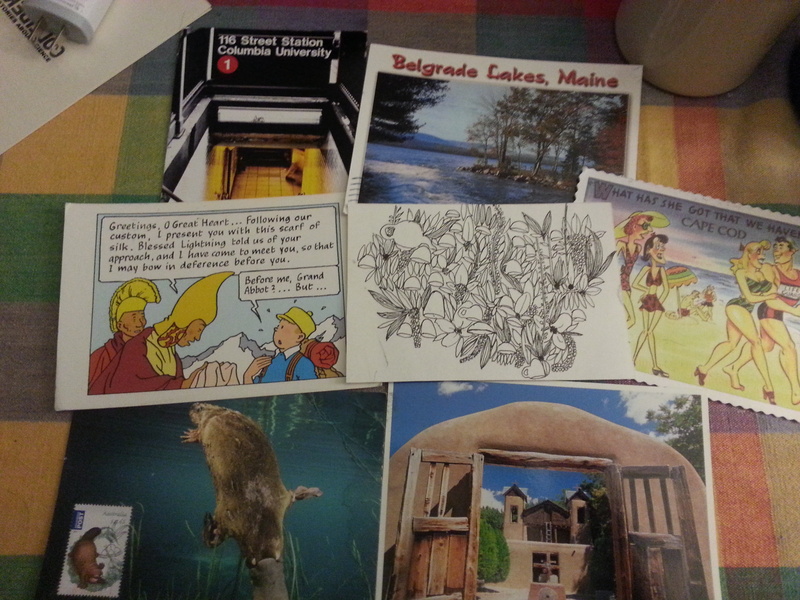 So, first off, thank you to those who sent in postcards! 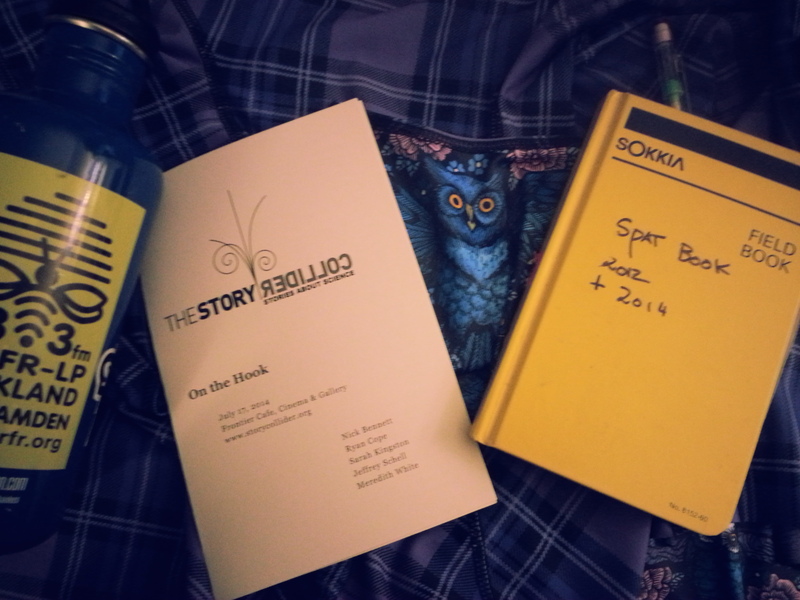 I will be writing you back next month. See, I got them!!!! New York City, Belgrade, Cape Cod, Minnesota, Singapore, Australia and somewhere in the southwest… what a spread! Thank you and I will reply with Maine-scenic postcards (someone requested postcards of great apes but I don’t have any handy… except maybe pictures of my derby alter ego, Sass Girl Rilla). Second off, I co-produced my FIRST Story Collider show with Ari Daniel last Thursday and it was THE BEST! The Frontier Cafe in Brunswick was a great venue, our sound guy Evan was wonderful, Jesse, our photographer was amazing and our five storytellers — Nick, Sarah, Jeff, Ryan and Meredith — were absolutely fabulous. We can’t wait to do it again! For more information on the storytellers, here’s the page for “On The Hook.” Subscribe to The Story Collider podcast and keep an ear out for their stories! AND if you want to tell a story about science, send me an email or email The Story Collider. And finally, WRFR-LP, the local radio station in Rockland, Maine I love so much, has agreed to let me host once a month (to start!) 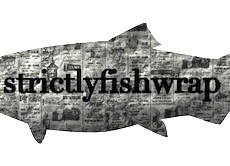 a Strictlyfishwrap science hour. I’ll be putting those science hours up here (or a linked site) as podcasts. Keep your eyes peeled here, on twitter, and on our facebook page for those podcasts. Won’t happen until September, though. Suggestions? Let me know. I plan on reviewing recent and trending science articles I’ve been hearing about online, interviewing in person and on the phone fellow scientists and reading postcards. If there is anything you want to know about please send in questions! I’ll look ’em up! Until then, if you are interested in submitting stories, PLEASE do. I won’t be writing my own pieces for awhile up here (oh, yeah, I have that whole THESIS thing to do which I’m working on this summer).